Temperatures are dropping across the country and the icy fingers of winter have taken hold. And with that cold, we all strive to stay inside and away from the elements. But those very same elements can take a toll on your home’s exterior. If you neglect to prepare and monitor your home for the winter season, you might wake up to a variety of issue in the spring. Here are a few tips, however, to keep you roasting chestnuts this winter and avoiding some unnecessary bills. Rainfall that hangs around for a while can freeze and expand. That can cause significant issues to your drainage system and exterior, but the biggest concern here is your pipes. Freezing water can cause your pipes to leak or burst entirely – and if they burst, your home’s foundation may suffer damage. Be on the lookout early and often for clogged gutters in winter by checking for icicles and a buildup of ice on the roof. Open your water lines a bit to allow the drips to enter the water tank and prevent ice buildup within the pipes. Additionally, contact a professional to clean out overdue waste within the pipes and gutters free flow of water. If a pipe’s insides freeze during winter, shut off the water flow and call a plumber to prevent bursting. Ice and snow aren’t the best things for your roof. Stagnant snow has time to find small openings in your roof – and potentially expand them as the snow refreezes at night. When the snow melts from the roof’s surface, it trickles down to the house’s walls or edge of the roof. 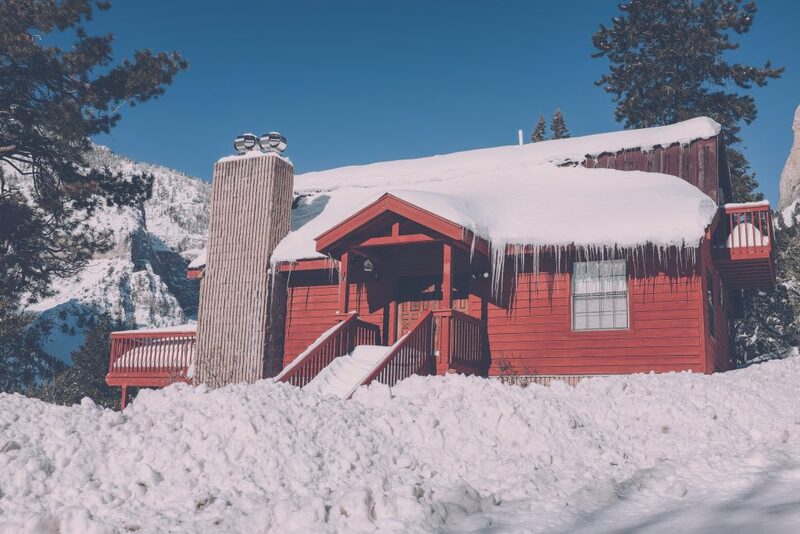 This case is professionally termed an ice dam; ice dams block snow from properly draining off the house and can cause damage to your roof, gutters, and walls. Adding snow guards around areas where snow falls along the roof can help your roof properly drain in winter. Another way to protect your roof actually ties to one room of your home: The attic. A warm attic causes melting of snow on the roof and damages the windows, walls and roofing material. Any opening to your home is susceptible to snow and ice – and that includes your windows. The key issue that shows up with windows is a sealing failure. If your windows aren’t properly sealed, they cannot fully insulate your home. Look for signs of condensation between the glass panels, ice, or any draftiness that you may feel near them. A great way to test for drafts is by holding a small piece of paper near your windows to see if a draft can move it. If so, you’ll want to consult a professional before winter can make those issues worse. Winter is also a tough time for plants. Snow, fallen leaves, and low temperatures make it difficult for moisture to drain. To help your lawn, try to rake those leaves up before they can weigh your lawn down and remove snow as needed. S-shaped shovels are easy to handle for removing snow. If necessary, snow blowers are convenient for cleaning up vast flat spaces. The falling of snow is a beautiful sight that also carries potential danger for homeowners. Preparing for cold weather will save you from breaking the bank in repairs. Draft the projects that should be executed before and during winter. More so, a professional home inspector or contractor will lessen the hard work required to keep a safe environment during the holidays.